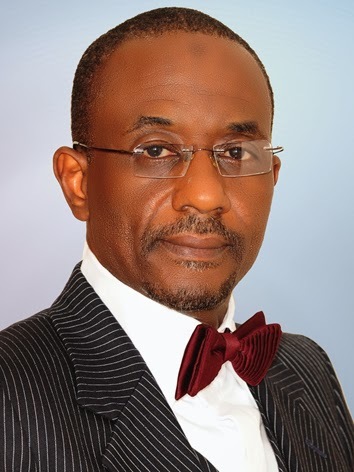 Central Bank of Nigeria (CBN) Governor Sanusi Lamido Sanusi appeared before the Senate’s Investigative Public Hearing on unremitted oil revenues, where he alleged that $20 billion is still unaccounted for. He also provided a detailed explanation about the irregularities in the accounting system of the Nigerian National Petroleum Corporation (NNPC), presenting evidence showing that NNPC, has in violation of the law and constitution, been diverting money from the Federation Account, and involving itself in activities that warrant full investigation. “That NNPC, in paying what it calls kerosene subsidy, is confessing to a number of serious infractions. First, I have shown, based on NBS data, that kerosene is not a subsidised product, and, therefore, the so-called subsidy is rent generated for the benefit of those in the kerosene business. Second, I have produced evidence that President Yar’Adua had issued a presidential directive eliminating this subsidy payment as from July, 2009. Third, these huge losses inflicted on the Federation Account have not been appropriated”. The latest revelation of massive corruption and financial malfeasance in NNPC provoked a heated debate in the 6,100-member Spaces for Change’s (S4C’s) discussion forum, generating over 300 comments. On February 4, S4C admin published the blow-by-blow account of the Committee hearing, including the CBN Governor’s memorandum and other evidential materials on its online portals and discussion forums. Reactions poured in from young Nigerians across the country and in the diaspora both in support and against the CBN’s governor’s spirited steps to entrench accountability in oil sector governance. Chyke NwokediThe CBN Governor might have got the figures wrong, but the focus should be on the process. Huge sums of money are being paid out without congressional approval. Ngozi-Okonjo Iweala (NOI) confirmed that $10 billion is unaccounted for and awaiting reconciliation, but that is not the point. The point is whether approval according to the constitution was gotten from relevant authorities and the answer is no. The irony of this is that the president is lending credence to this unconstitutional approach by retaining the Minister who ought to know better before spending money without appropriation and due process! Paul IzevbizuaSanusi started with $49.8billion, came down to $12billion and when superior argument established $10.8 he concurred. Now he has gone up to $20billion….Doesn’t this inconsistency give him away as a big joke? On the so-called presidential directive on kerosene subsidy, the NNPC spokesman affirmed moments ago (AIT news) that at no time was such a directive communicated to the NNPC. The onus is now on Sanusi to prove that the directive indeed got to the NNPC. Wale Edun This happened in the early 80’s and when we got stuck, we resorted to borrowing from the International Monetary Fund (IMF) with strong conditions attached to the loans. This is the same pattern we are following till this day. But this time, it will be far much worse; Paris club will ensure we are squeezed hard to extract as much as they can given the competition with the West and East blocs. The country will soon go bankrupt with this behaviour. 1) NNPC failed to render accounts as at when due. Denying these facts is tantamount to hiding behind a finger. Gbelela Olabisi Michael From Obasanjo to Yar’Adua to President Goodluck Jonathan..they have finished this country with the flippant, floppiness and open-faced stealing of oil proceeds! I am not surprised at the volte-face reaction of the CBN governor! He knew about this flippant and irresponsible attitude ab initio yet kept quiet until now. This episodic impropriety Tsunami of a case is a reminder to every would-be leader to be ready for the task of leadership very well. Imagine with the array of “Harvardians” and “Ivy Leaguers” strolling the seat of power, this government could not prepare a sustaining budget that will reflects prevailing socio economic reality! This government is a lost cause! Nurudeen Toba TiamiyuI don’t subscribe to arguments that suggest that the passage of the Petroleum Industry Bill (PIB) will help clean the rot in the oil and gas sector. You don’t need a PIB to know that its wrong to allocate 450, 000 barrels daily to a non-functioning refinery in Nigeria, nor need it to understand you have over paid subsidy in previous year. Pamela Braide Where is the money? Why is it taking NNPC 5 months to find tens of billions of dollars? Let’s buy torchlight and share to Petroleum Ministry so they can find 20bill USD. The main issue is: does NNPC have the right to bypass both the federation account and the appropriation processes? See how long it is taking them to account for money spent… billions of dollars didn’t leave a trail of minutes of meetings, vouchers, receipts, invoices, bank transfers etc? Even with all their expensive consultants and highly paid staff they have… its taking so long…Why? Without a PIB, the country spent N300billion a year on subsidy under OBJ. Now, we spend trillions…. Its beyond PIB. Its just open season! Even with privatization, if this free-for-all looting isn’t contained, the rot will continue no matter what corporate structure and nomenclature we adopt. NNPC ‘s laughable attempt to write off 10billion dollars for a non-existent kerosene subsidy and even attempt to backdate it to 2007 should be rejected by CBN as an excuse for not remitting said billions into the federation account. NNPC must show where it got the authority to buy kerosene at N150 and sell at N40, and then put the burden of loss on the federation account. Bologi JimadaAt a congressional hearing over the sub-prime mortgage scam that led to the 2008 crash, Allan Greenspan confessed that they don’t get it right all the time. If they get it right all the time, the world economies won’t be where they are today. That said, I wonder why no one is asking who leaked SLS’s letter which is supposed to be a private communication with the President. Who stood to benefit from the leak which took more than two months (enough time to cook the books, anyway) and which was conveniently timed to coincide with OBJ’s letter? Why is it convenient to find SLS the villain here while ignoring those who are supposed to have remitted the funds without stories in the first place? The crime committed against the state is worse than tax evasion for which offenders attract long term jail sentences. Is it implausible that Sanusi made his observations known to the president based on information from NNPC for which NNPC subsequently refused to give details of transactions? It is within the realm of strong possibilities that the public was never to have known about this, except that some people panicked at the implication if it ever got out. As has been the tact in Nigeria, if you rubbish the whistle blower hard enough, people will forget what it was all about. Omotayo AremuIt is too hard to believe that any individual or group in government can divert US$20billion or US$10billion without the approval or consent of the Minister of Finance and the Presidency. David AkataAfter the last account reconciliation that was necessitated by SLS’ leaked memo, several accounting formula that defies public expenditure logic and common sense has been flying left right center from NNPC. In the latest ongoing $20billion saga, there are contentious issues SLS is raising that bothers on ownership and proceeds of NNPC/Shell JVC the latter pulled out from while the former took over the blocks, transfer same to two indigenous firms. The proceeds from these multi-billion dollar transactions and the opaque arrangement are suspect. SLS, in his words before the Senate committee, has sought three legal experts and other professional opinion on this issue and was advised accordingly on what should accrue to the federal government. Bologi JimadaSection 80-(1) of the Constitution explicitly says that “All revenues or other moneys raised by the Federation (not being revenues or other moneys payable under this constitution or any act of the National Assembly into any other public fund of the Federation established for a specific purpose) shall be paid into and form one Consolidated Revenue Fund of the Federation” and Section 80-(4) states: No moneys shall be withdrawn from the Consolidated Revenue Fund or any other public fund of the Federation, except in the manner prescribed by the National Assembly” and this is through an appropriation Act of the parliament. Anyone or body who does contrary is committing an unlawful act against the Constitution. The Petroleum ministry or NNPC have no right to deduct anything, be it subsidy, repair of burst pipes or JV cash calls etc from whatever comes to them as revenue until such moneys are paid into the Consolidated Funds of the Federation and such funds appropriated through an Act of parliament signed into law by the president. Igodan VictorI am getting tired of the sleaze happening every minute in this country. Stella Oduah’s matter… subsidy thieves matter…Farouk case …..Arumah Oteh case, pension scam, and so many others…All of them have been swept under the carpet… Even this current one, nothing will happen. Izu AkaboguI am sure in the last view days of this expose, some receipt printers, documents and signature forgers will be smiling to the bank, thanks to NNPC’s document desperation right about now. What a comedy of errors. Sunkanmi AdesinaWhere is the voice of Minister of Petroleum in all this brouhaha? Is it only NOI that should take the sticks? Is her job limited to signing and approving memos? Or has she been telling people to “do the needful” behind the scenes? What is her job specification, if someone may ask? Niyi KarunwiBut has the President spoken or acted since these revelations were exposed? Is he not the principal of all these ministers? Is he not concerned? Adesoji Adebisi“The Chairman, House Committee on Petroleum (Downstream), Mr. Dakuku Peterside recently condemned this as wasteful spending. He also said N110bn was spent on kerosene subsidy in 2010, N324bn in 2011 and N200bn in 2012, which came up to N634bn in the three years. So how can they tell us that they’re paying subsidy arrears again, when the money has been paid every year until date.